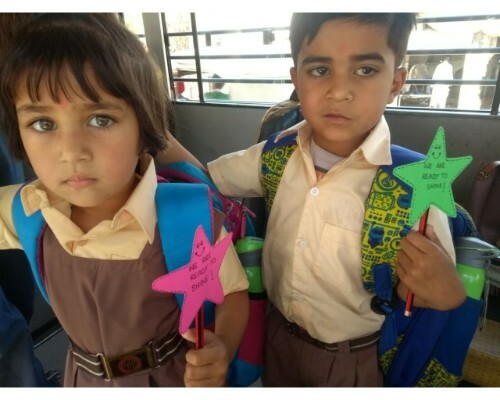 We are ready to shine.....First day in Kindergarten !! 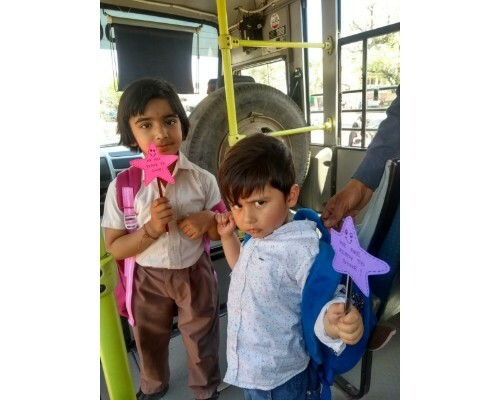 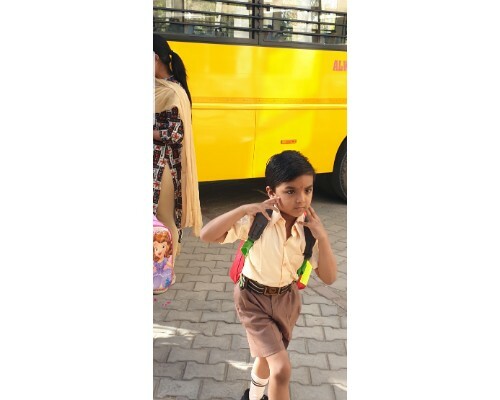 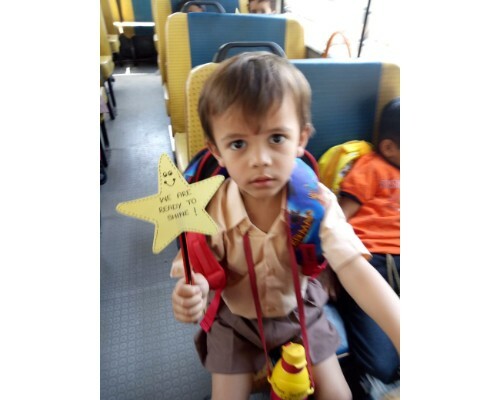 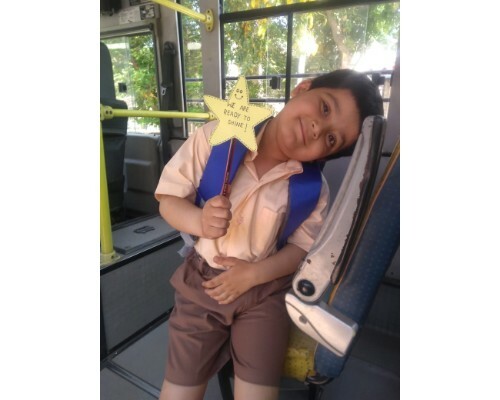 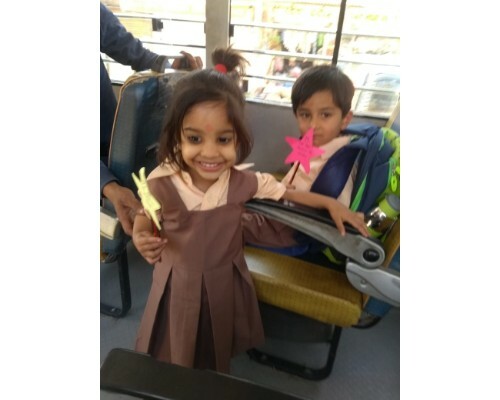 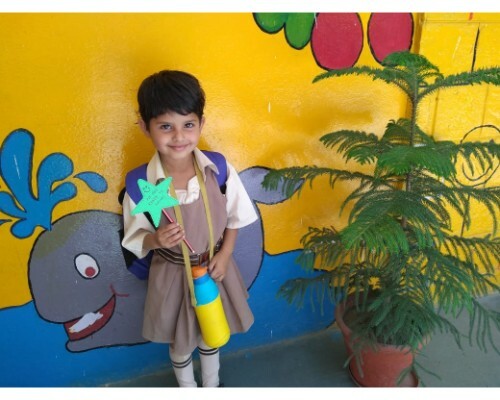 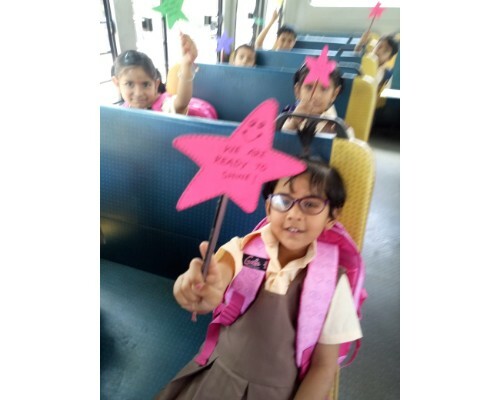 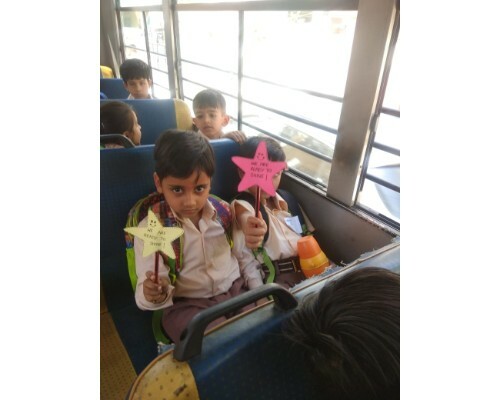 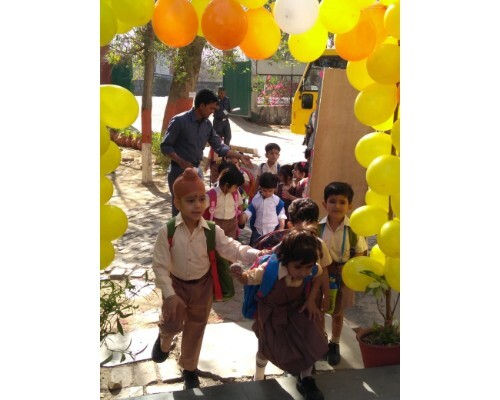 The first day of the school is a mixture of anxiety and excitement not only for a child but also for the parents and grandparents.The day marks the beginning of the most important phase of a child's life. 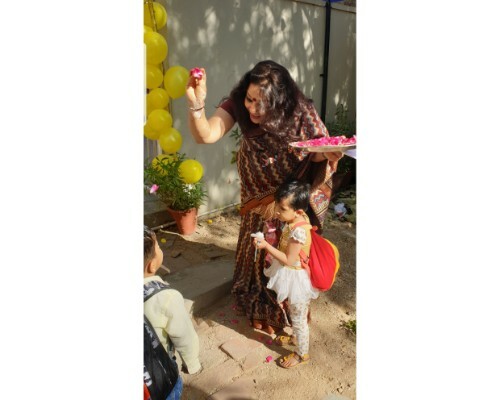 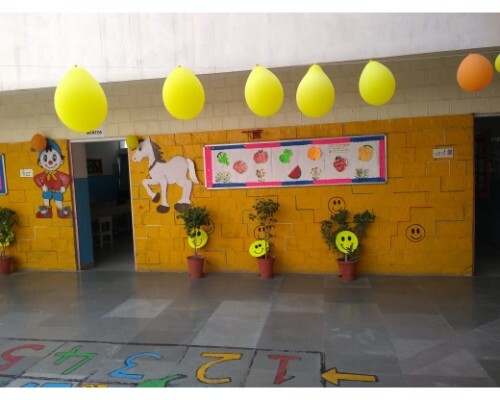 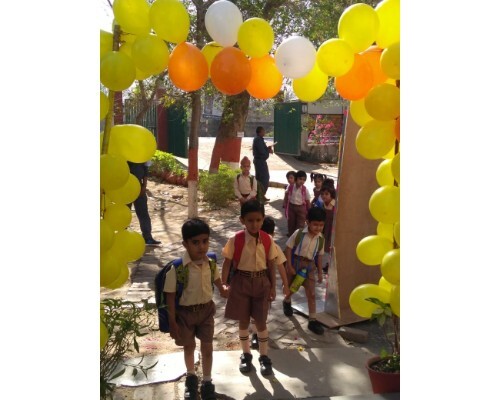 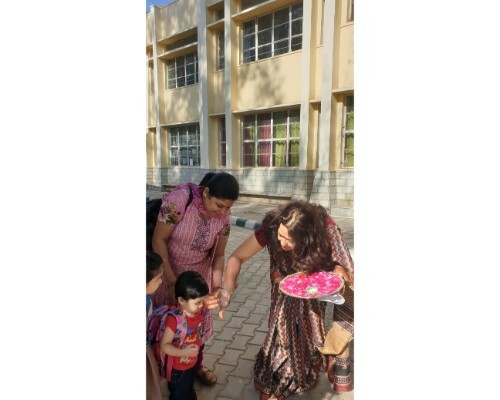 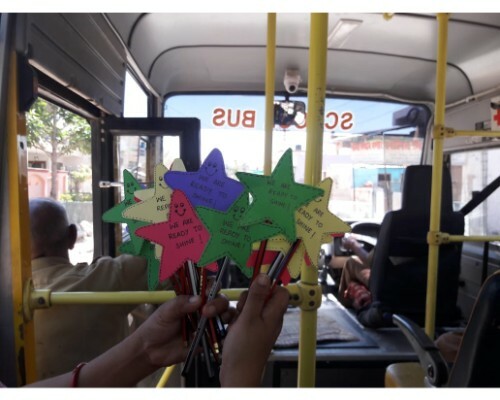 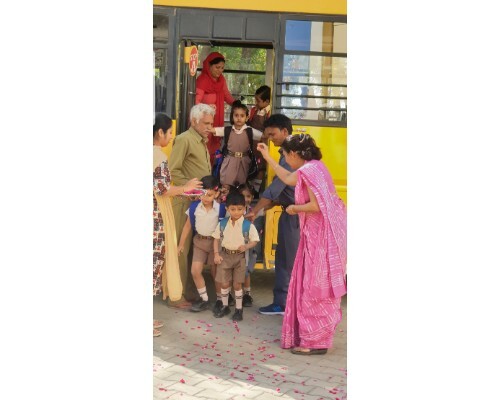 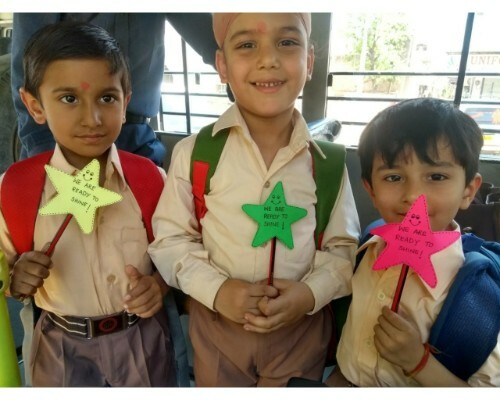 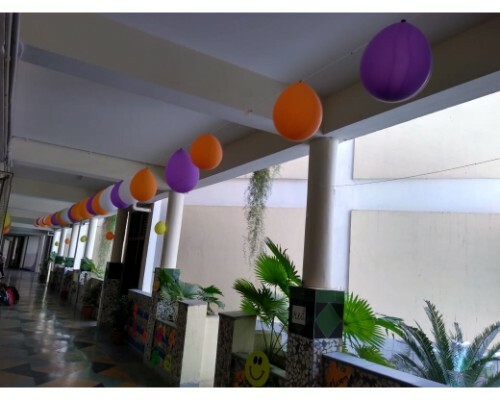 Teachers cheerfully welcomed students as they came to school today by putting tilak and chaawal on their forehead.Block was decorated with colourful balloons and similes. 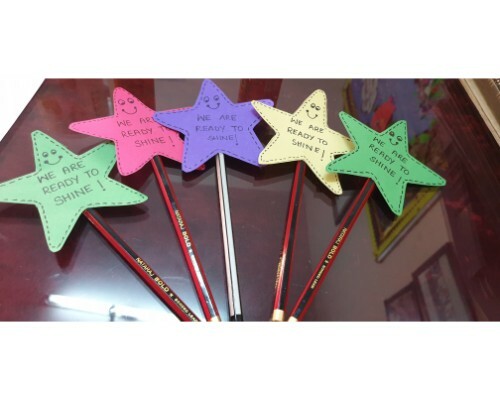 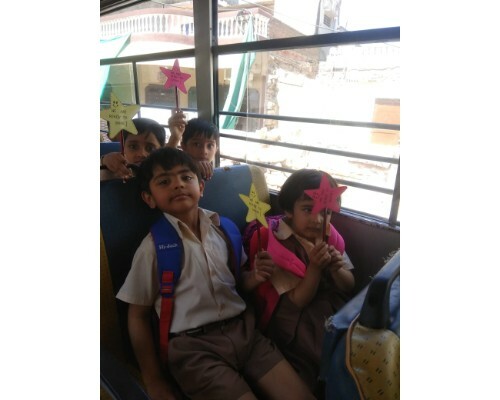 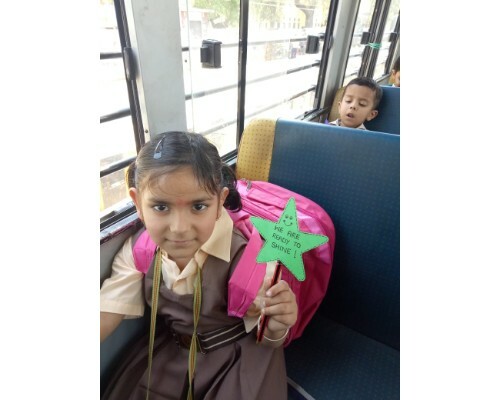 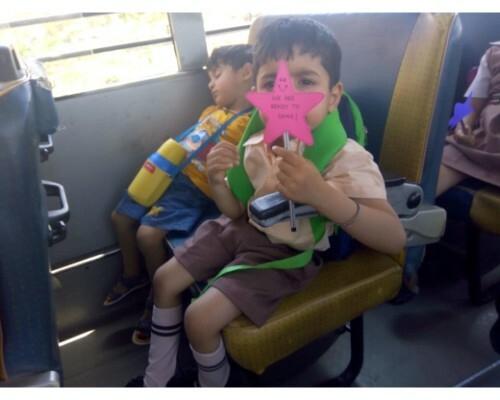 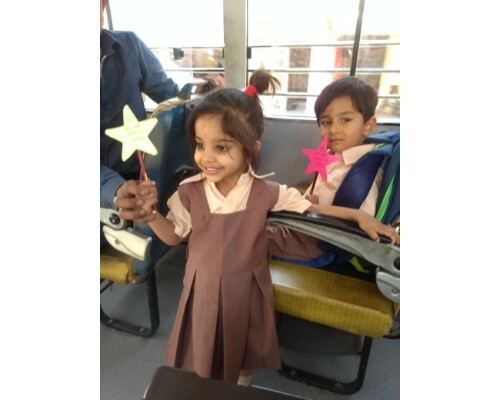 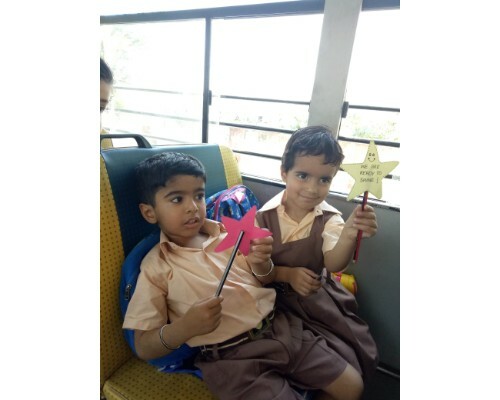 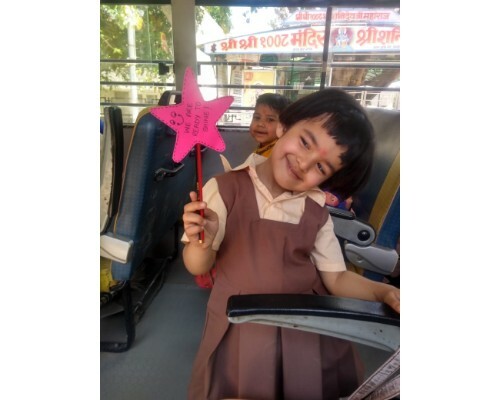 They danced on peppy music and watched a movie.They were given a handmade token of love- a star with a pencil and toffees.